Step 1: go to the settings of the app in the top right corner of the interface. You’re looking for a button with the shape of a cogwheel. Step 2: in the drop-down menu, you have to enable the option Cache Mode to make sure it’s activated by default. Step 3: now you can search for any video through the search that you can access on the bottom left hand side of the main interface. You’ll find this button on the left with the shape of a magnifying glass. There, you can write the name of the band or song that you want to search for. Step 4: once you’ve found the video you want, you can cache it from the list of results with a button that looks like an exclamation mark to the right of each result. Another option is play the video in question and then press the + button whilst playing. Then you can choose to send it to an existing playlist or create a new one. Step 5: if want to remove a cached video, you’ve got two options. On the one hand, from the configuration button where you can delete them all at the same time. On the other, you can go to your list of playlist from the second button on the right at the bottom of the main interface. 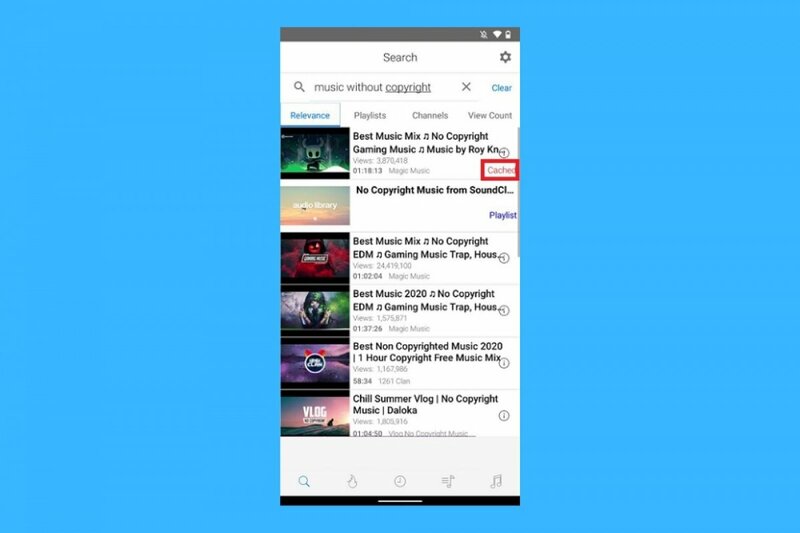 There you can access the playlist of your choice and click on Edit to choose which videos you want to remove (or send to a different playlist).